A diet rich in vegetables is one of the best ways to prevent disease, maintain a healthy weight, and keep all the body's systems functioning well. Nonetheless, veggies are often met with a resounding "Yuck!" For many people, that's because they haven't found the kinds of vegetables they like or learned to cook them well. 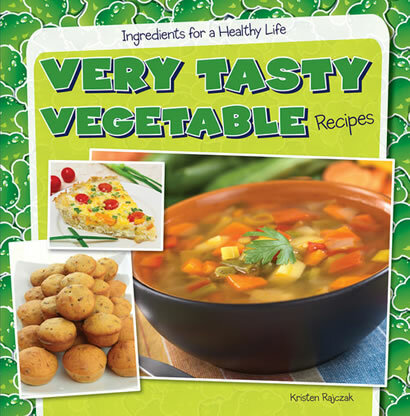 Readers will learn about many different vegetables and the health benefits of eating a variety every day. Cooking tips, facts boxes, and colorful photographs enhance delicious step-by-step recipes that will have readers asking for cucumber instead of chips and sweet potato instead of sweets!